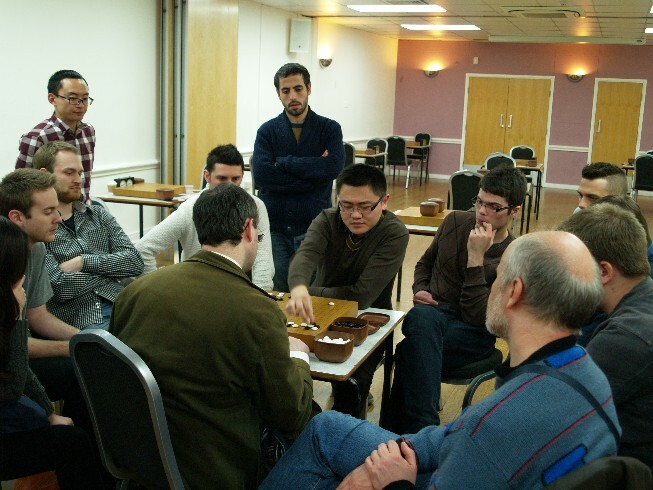 Congratulations to Centrol London Go Club A team, Franciso Divers, Michael Webster and Chuck Fisher, for winning the 2014 season of the online league ahead of Belfast and claiming back the GoGoD shield, which they last held in 2011, from Edinburgh. The second division was won by Cornish Rogues (Paul Massey, John Culmer and Rob White), who will be moving up to the first division next year, narrowly beating the Three Counties team. We are starting to take bookings for the next season of the online league, which we hope to start promptly in April, so please could everyone who wants to take part get in touch with me at jmc AT toad.me.uk to confirm that they want to play. Whilst we like to have teams associated with clubs, people on their own are very welcome to join up with an existing team which is low on members, so please don't hold back. Last updated Sun Jan 11 2015. If you have any comments, please email the webmaster on web-master AT britgo DOT org. Last updated Tue Dec 30 2014. If you have any comments, please email the webmaster on web-master AT britgo DOT org. 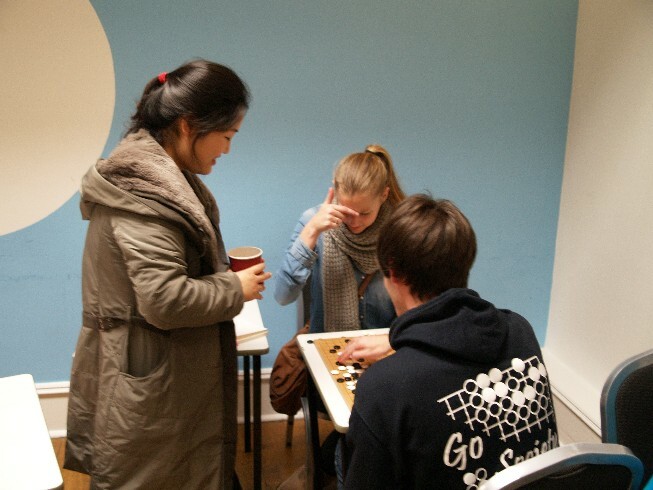 Day two of the London Open, Monday 29th December, saw rounds three and four of the Open. At the top in round three Benjamin Teuber lost to Mateusz Surma and Young-Sam Kim lost to Chi-Min Oh. So the two on four wins faced off in round four; Oh beat Surma to take a clear lead. At the end of the day the other players on four wins were: Kalle Timperi 1k, Lova Wåhlin 2k, Johannes Siven 3k, Alberto Adriasola 4k and Jannik Gram 5k. The three pros present were busily anaylsing games at the end of each round and in the early evening Miss Choi gave a lecture for kyu players and Fan Hui reviewed a game with the stronger players.